Say goodbye to your dead-end corporate job and open your own travel agency. Why work for the man? With a little planning and a lot of hard work, your dreams can come true! Build your own Travel Agency from the ground up in this challenging Time Management game. Create fabulous vacation packages for many kinds of customers. Bring on new workers and keep them motivated and happy. 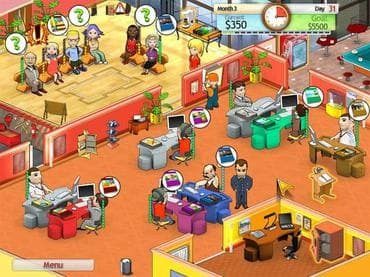 Download this free full version game now and be your own boss! If you have questions about Travel Agency game, please contact us using this form.